Dirk Nowitzki is a basketball player of German origin in the National Basketball Association. He has only played for one team, the Dallas Mavericks, having originally been drafted by the Milwaukee Bucks in the 1998 NBA Draft before getting traded. 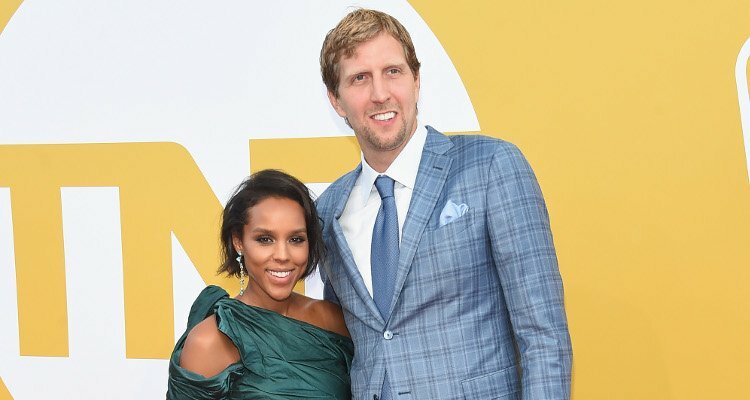 The 7-feet tall baller has gone on to break and hold several all-time Mavericks franchise records, as well as association records, including being the highest-scoring foreign-born player in NBA history and one of only seven people in the world to have featured for at least 20 seasons in the NBA. Add that to being one of two that have done so with a single franchise. 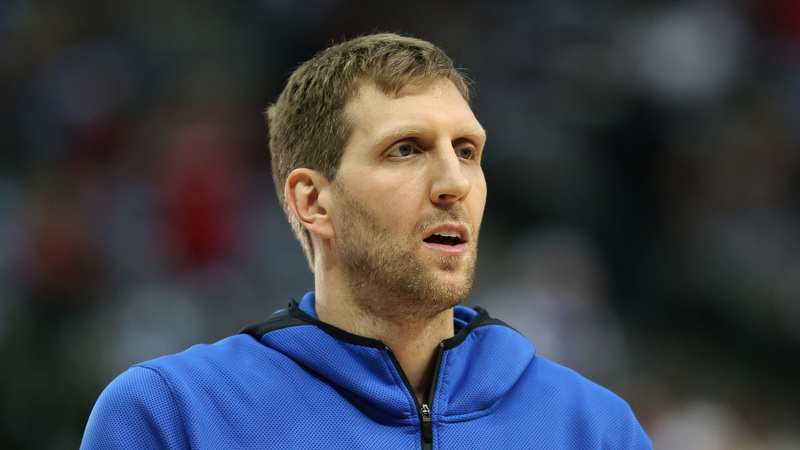 Here is a look at all Dirk Nowitzki has achieved, including his biography and family life. Nowitzki was born Dirk Werner Nowitzki on June 19, 1978, in Würzburg, Germany to a family of sportspersons. His mother, Helga Nowitzki (née Bredenbröcker) played professional basketball while his father, Jörg-Werner was a professional handball player who both represented Germany at international competitions. He is the second child of two, with his older sister, Silke Nowitzki, also being a professional basketball player after a somewhat successful career in track and field. It was only logical that Dirk chose a career in sports. He initially preferred to play soccer, tennis, and handball, like his father dad, opting out from basketball because he thought it was a sport for girls, having seen his sister and mother play the game. Nowitzki always stood a foot or more taller than his peers. He found his height to be a challenge in those sports and at around the age of 13, opted to try basketball. He signed up to join a local team and attracted the attention of Holger Geschwindner, a former German international basketball player. Geschwindner offered to serve as a mentor and coach to Nowitzki and played an integral role in him becoming the player that he is today. At the age of 16, Nowitzki started playing for his local second-tier club, DJK Würzburg. Within a two year span, he got selected to play on the German National Junior team, the German Under-22 National Team, the European Junior Select Team, and the World Junior Select Team and was branded as the greatest basketball talent of the last decade by Germany’s national basketball team coach at the time. Dirk Nowitzki got offers to play professional basketball from all over the globe at the time. NBA scouts and colleges were put on high alert when he outplayed and even dunked on NBA player Charles Barkley who was in Europe for a Nike sponsored event. He, however, chose to remain with his local club and complete his education, writing Germany’s equivalent of A-levels, called Abitur. After that, he completed his mandatory service in the German Army before coming back to help his team gain promotion to a higher league which earned him the Germany Basketballer of the Year award in 1998. That year he made himself eligible for the NBA Draft, passing up on acquiring his university education. In his rookie season, Nowitzki found it very hard to fit in and begun to question his decision to move to America. It also did not help that the Mavericks as a team was also struggling at the time which made things worse. By 2000, Nowitzki started to find himself, emerging as a star in the league. His game greatly improved as he was voted runner-up for the Most Improved Player in the NBA Award. He also made it into the NBA All-Star Sophomore squad and participated in the three-point shootout, where he finished runner-up. From that time onwards, Dirk Nowitzki moved from height to height, setting records and putting his team in position to secure an NBA title. He first played in the NBA Finals in 2006 where he lost to the Miami Heat. The following season, he was named NBA Most Valuable Player, the first European player to receive the honor. He also joined the exclusive 50–40–90 club by averaging 50% from the field, 40% for three-pointers, and 90% from the free throw line. In the 2010-11 season, Nowitzki guided his team to its first-ever NBA title against the Heat again. He was named Finals MVP for his efforts which included playing game 4 of the series with a fever. The Mavericks have since that time been unable to put together a decent playoff run but Nowitzki himself will go down in history as a legend of the game. Dirk Nowitzki is married to Jessica Olsson, the sister of Swedish twin footballers Martin and Marcus Olsson. The couple got married in 2012 after dating for two years. They have three children; a daughter, Malaika Nowitzki, born in July 2013 and two sons, the first one, Max Nowitzki, born in March 2015 and the other in November 2016. His sister, Silke, currently manages her brother and works for NBA international TV. The Nowitzki family currently lives in a five-bedroom, 9,215 square feet mansion in Dallas Texas which reportedly cost $8 million. The mansion also has six bathrooms, a three-car garage, a tennis court, swimming pool, and two basketball courts.